I’m a retired Engineer with a PhD in Physics. While I was working as an engineer I tutored high school students in Math and Physics. The high school students that I have tortured in the past have moved on to be very successful in college. Two of the students that I have tutored are presently in PhD programs. Their mothers have given me the credit on where they are today. While this has given me a great deal of satisfaction, the credit belongs to them and maybe some to me. While I was working on my PhD in Physics. I taught undergraduate Physics to nursing students, business majors, engineering students, science majors and math students. 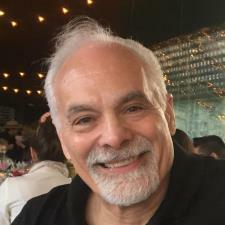 Now that I am retired I have much more time to tutor and I am looking for Wyzant to connect me with students that want help in Math and Physics. Finally, I don’t watch the clock and in one hour we stop. If we are right in the middle of trying to understanding a concept and we need another 5, 10 or 15 minutes to get it, we can keep going if the student wants, at no additional charge. Excellent tutor with a cute NJ accent! Giro helped me with calculus. He is very knowledgeable and patient, as he made sure I understood concepts before moving on. He also sat with me an extra half an hour so we could continue our lesson and go in further depth. I would highly recommend him as a Calculus tutor. Giro is a fantastic tutor. He tutored my 16 year old daughter in Physics and Algebra 11 in the same 90 minute session. He has a great ability to translate these complex topics into data that my daughter could relate to.